APS Step bars are a welcome addition to any truck or SUV. With rugged construction and made from quality Stainless Steel 2 you can count on these 4" Oval Nerf bars to handle any step you throw at them. APS Polished Nerf Step bars come complete with installation instruction and hardware. This means you have the parts and knowledge to install them quickly and easily the first time. APS has a full range of quality tested Step bars available for almost any make and model truck available in several finishes and materials. Choose from Polished or Black Powder coated finish to match the look and feel of your truck or SUV. 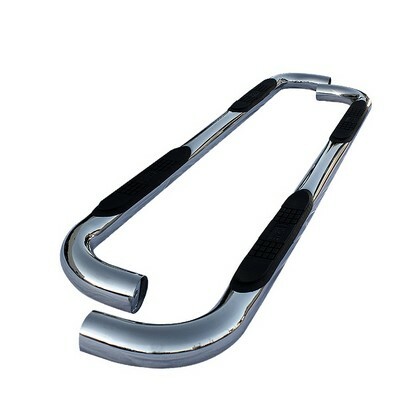 With APS you get a set of Polished 4" Oval step bars guaranteed to fit your 2007-2012 Toyota Tundra Crew Max.